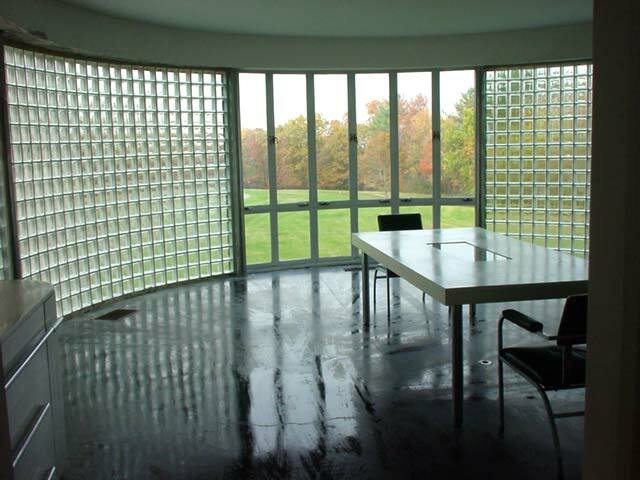 Sited: The top of a hill on 21 acres, at the end of a long private driveway with tremendous views of sunsets, distant hills, and the Croton Lake Reservoir below (mainly in the winter); in Bedford Hills, New York (about an hour north of Manhattan). Stuck for a stocking stuffer for that special someone-who-already-has-everything? 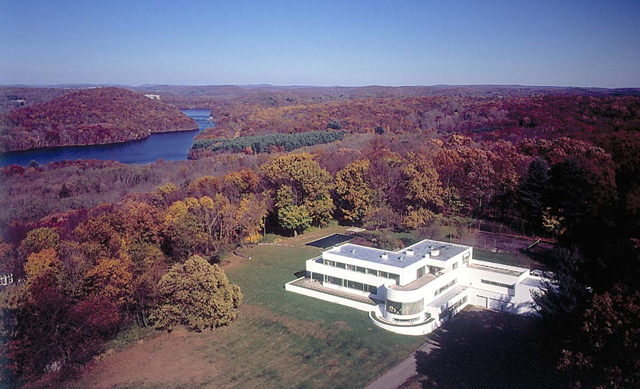 An intriguing not-so-little item came to us in the form of a letter from Eric Brill, current owner of the Edward Durell Stone-designed Mandel House in Westchester County, New York. 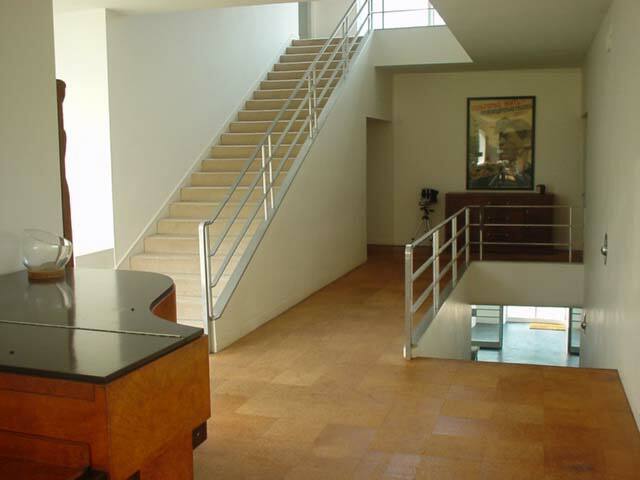 At almost 10,000 square feet, with seven bedrooms and 4.5 baths – and much more – there is little risk of the Mandel House being dismantled and relocated to Idaho or Palm Springs, as is feared might happen to the Farnsworth House. 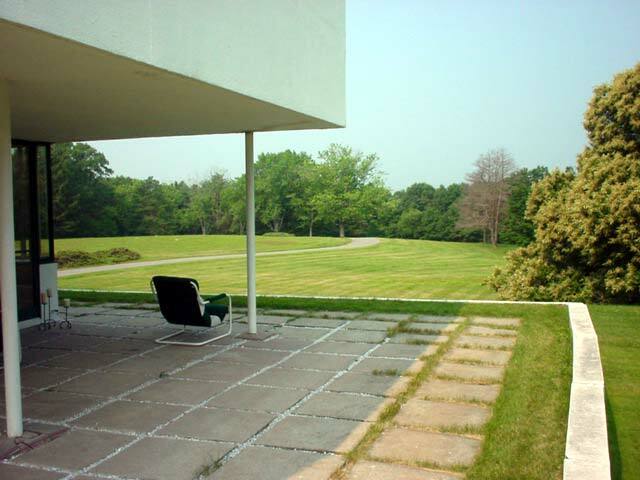 My wife and I purchased the Richard Mandel House about 12 years ago. 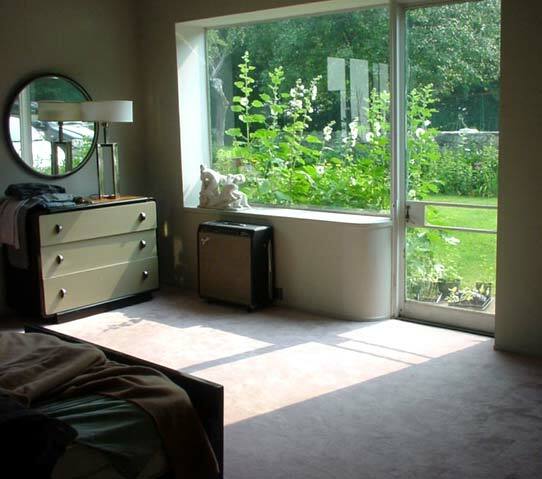 When we acquired it, it was completely unaltered, but required quite a lot of restoration and repair, which, with the help of a very knowledgeable restoration architect from Yale University [Donald Baerman, AIA], we have pretty much completed. In the course of our restoration work, we were delighted to find that the interior structure was in such good condition that most of the structural steel still had its original primer paint intact! Fifteen-inch thick concrete walls, with steel columns and steel and cement slab floors, make for a very strong and possibly fireproof structure. 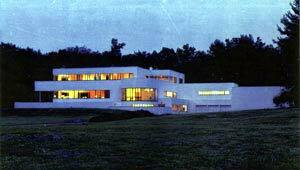 The house was a unique collaboration between a great architect, a great industrial and interior designer, a great lighting designer, a great landscape architect, and enlightened and wealthy owners. 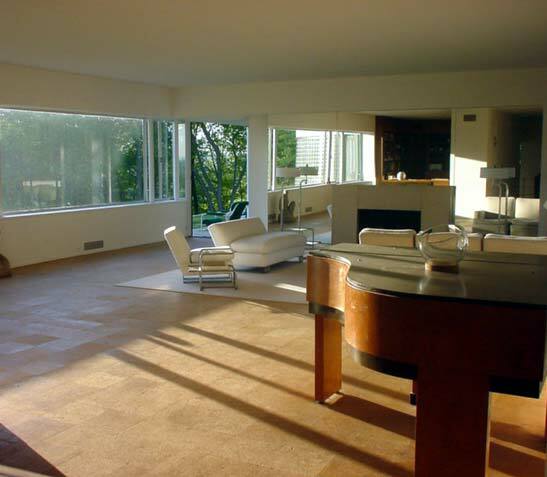 Today, it retains most of its original Donald Deskey-designed furnishings. Among them: a unique Schmieg Hungate Kotzian-bodied Steinway piano which George Gershwin, a modern design enthusiast, played during his visits to admire the house in the 1930's; an illuminated chrome and white bakelite dining table; and an illuminated large curved buffet whose twin was in the Abbey Aldrich Rockefeller apartment in Manhattan – to name just a few. Kurt Versen designed all the in-wall and ceiling lighting that is all intact and in good condition also. Most of the ceilings are nine or 10 feet high. 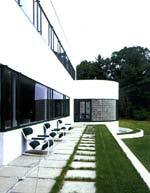 The grounds, with stone walls, curved stone promontory, plantings, etc, were designed by Michael Rapuano. 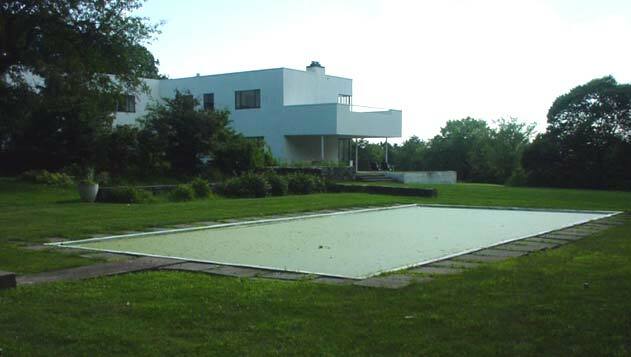 Richard Mandel was a racquet sports enthusiast, and the house has an indoor squash court with observation deck, as well as an outdoor swimming pool, tennis court, and bar room (where Jackie Gleason apparently spent a fair amount of time when he lived in the house for a couple of years in the 1950s or early 60s). The house was featured in many 1930s books and magazines, and has been in many contemporary ones as well, including a recent cover story in Magazine Antiques. It was placed on the Interior Department's historic registry a few years ago, but this designation, unfortunately, doesn't do anything to ensure its preservation since it is a private property. Despite our delight and satisfaction at seeing most of the house's repair and restoration finished, my wife and I are planning to move, after over 20 years in this area. We are great fans of early modern architecture and of the house, and would love to see it, its furnishings, and its land go to a foundation, trust, museum, corporation, embassy, or wealthy arts and architecture patron who would preserve it. Unfortunately, we cannot afford to donate the house, or we would unhesitatingly do so.